Sometimes people don’t think about the little things that go into the hotel interior design industry. Things like elevator experience, to convenience of the hotel restaurant, and most commonly seating options. There are so many things to consider when choosing the decor that sometimes mistakes are made in the chair department. From too many, to not enough, hotels have to make sure that these mistakes are not made. Ever walked into a place with a group of people and only half of the group can sit down? In most cases, that is quite a design flaw. Of course, there are spaces that do not allow space for an abundant amount of seating options, but that is not the situation we are talking about here. This seems to be a big issue that happens in the lobby/reception area of the hotel. When checking in with a family or group, only one or two people usually actually needs to be at the check-in desk getting the room keys. The others can wander around and explore, but most of the time they want to sit near and wait. If there are not many seating options, guests are automatically inconvenienced. Be aware of this issue. Too many of the same height chairs can be a deterrent. Think about the fact that there are people of all heights. From children to pro basketball players, the difference in feet can be extreme. For example, if most to all of your chairs are bar height options, that’s not going to go well with the kiddos. In all actuality, the kids will be fine, but the parents will be constantly worried about them falling and won’t be able to enjoy their time as much. It’s more considerate to have all types of seating options, for those shorter and taller. This can almost be the worst situation. There are multiple issues with this scenario. One problem is that an overcrowded area can eventually turn into a fire hazard. If the fire alarm goes off and the area is full of guests, getting everyone out in a safe and organized manner might be challenging. Another issue is being ADA-approved. The handicap population needs to have space to get in and out of the space and have the same guest experience as everyone else. If they are having to dodge chairs, it becomes time consuming and extremely inconvenient to say the least. This is a big deal. Some new designers and hotels can get caught up in the trends and forget that guests actually want to be comfortable when they sit down. Regardless of how “cool” the chair is, if it’s uncomfortable, then they won’t be sitting for too much longer. We have all been caught up in the whole, “Wow, that’s such a cool chair, take a picture of me in it.” zone, but most of the time those chairs don’t end up being a long term sitting situation. Just remember, style is important, but comfort is more important. Do your best to try and hit two birds with one stone, but if all else fails, choose comfort. When you think about “setting the mood”, there are many different things that come to mind. Hotels are now taking it upon themselves to help guests achieve their goals. 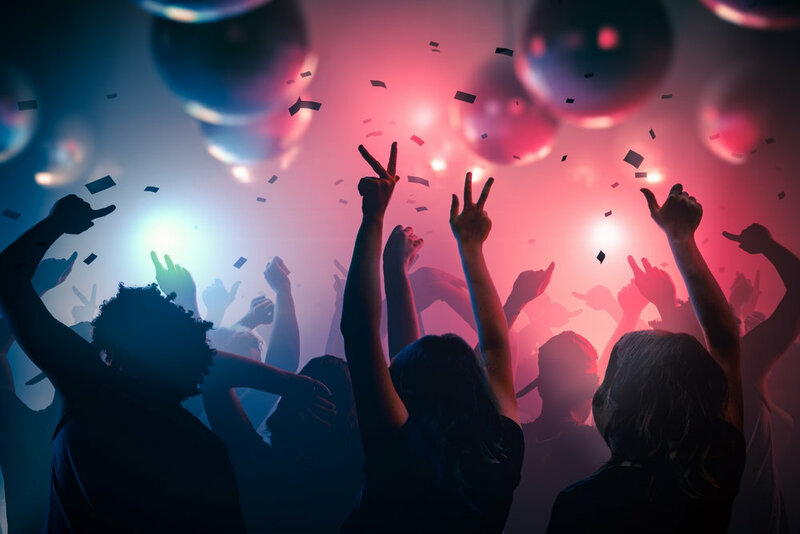 From lighting, to music, to even the aroma in the air, there are so many things that hotels are doing to make the guest’s life easier. Romantic getaways are extremely common, so why not have multiple options available to help the getaway stay romantic? Lighting is the number one thing that pops into our minds when we think about setting the mood. From dimming them, to the color, lights can either make or break a moment. Some hotels are starting to give guests a little more control over the lighting in the guest room besides simply turning the lamps on and off. Be on the lookout for a dimming remote. Another way lighting is incorporated is the color. LED lights throughout the hotel can create different vibes and feelings for guests. Colors like green and blue provide feelings of relaxation, comfort, etc. while red and orange can give guests a sense of warmth and love. Which one would you want to be on in the guestroom? Has it ever been too bright in your room before? That’s kind of a silly question because of course it has. No one wants to be blinded, and on the other hand, no one wants to let others see into their private space. Especially if a couple is trying to have a special night. There’s something powerful about being able to control the blinds when you want to have a bit of privacy. It feels like you’re in your own world and don’t have to worry about judgment or anyone bothering you. Blinds can definitely work some magic when setting the mood. Many hotels are now incorporating relaxing and welcoming scents throughout the hotel lobby and hallways. 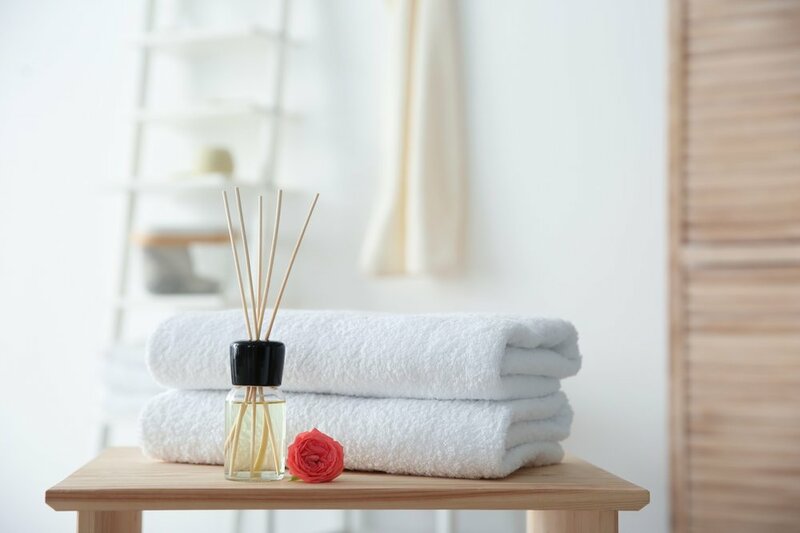 When it comes to the guest room, some luxury hotels will offer diffusers with option of different essential oils. Popular aromas for setting the mood are rose, nutmeg, and sandalwood, among a few others. These are great for romance and love, which is why hotels have them available for special nights. There’s something about walking into a room, smelling a certain scent, and instantly feeling at ease, relaxed, and happy. We mention this because there are many different ways to implement music when it comes to setting the mood. 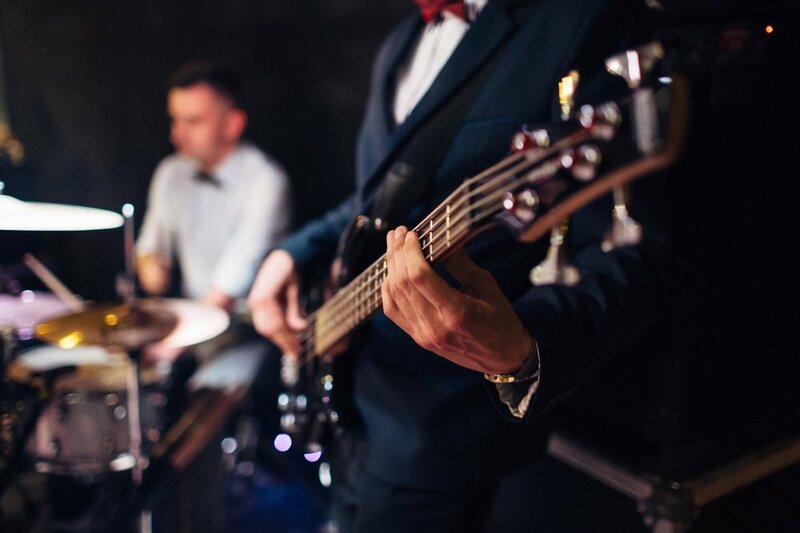 Some hotels will have live jazz bands or dance music for guests to come and be entertained while wining and dining. Another way is adding in a smart phone port and speaker in the guest room for guests to use and play their own music. This is perfect for that special night you have planned and all you need to do is create a playlist. These four items are simple, but effective. Hotels realize that it does not take much to make most guests feel accommodated and valued. Hotel views can mean many different things for everyone. There are hotels all around the world that cater to the guest in search for a breathtaking view experience. Many hotels create these spaces for the simple fact of attracting more guests. It only makes sense to advertise a prime location with a rooftop pool, or a gym with floor-to-ceiling windows with views of the mountains. Here are a few ways that hotels are bringing the view game to a new level. There’s nothing better than having the “view from the top” while sunbathing in a pool—especially if the pool is an infinity pool or has glass walls. Based on the photo above, if the hotel has options to view an entire city, go ahead and advertise it as an amenity. Having a pool is already a plus, but add in a view like this and you will have to make sure that it doesn’t fill up over capacity. Add in poolside service and you’ve got yourself a hit. Hotels are now expected to have a space or room for guests to work out and exercise. With health being such an important lifestyle choice these days, people want to make sure that they are accommodated appropriately. However, we constantly see hotel gyms located in areas fully enclosed, no views, and almost secluded from the outside world. Why not expose the gym with floor-to-ceiling windows and views of the surrounding nature. This especially goes for hotels that are located in tropical destinations. 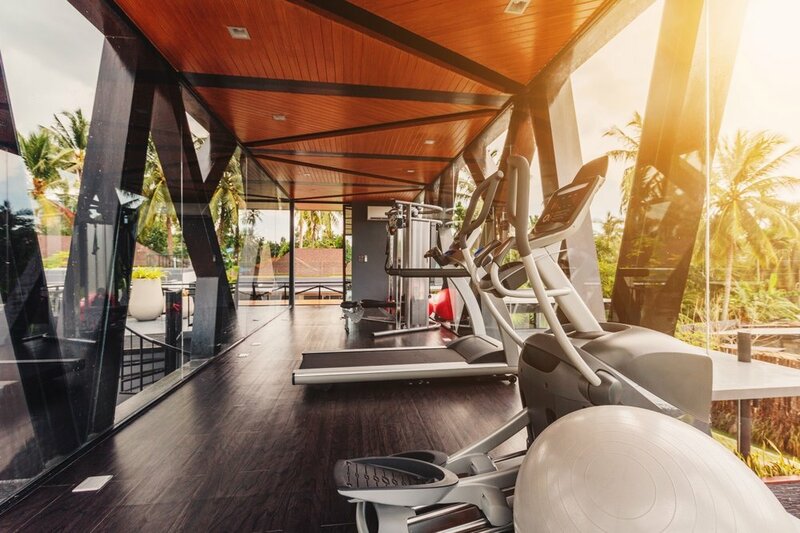 Give guests the luxury of seeing the beach and palm trees when they are getting their fitness on. Yes. Having a view during a meal is the best. It brings guests a sense of joy and contentment. Based on the photo above, we can imagine that having a coffee and breakfast pastry with that view makes for a scene out of a RomCom movie. The best part about having a space like this at a hotel is that it brings in business from outside sources such as tourists and locals that aren’t staying at the hotel. Any hospitality business that can pull this off is doing well. For those guests who are enamored with the thought of snow and mountain scenery, most high-end ski resorts and hotels will have you covered. Although it might be a bit chilly, that’s the last thing on your mind when you walk outside with an incredible view of the Alps for example. It only makes sense to make this available to guests, even if it is from inside. Due to the temperature issue, many of these cold climate resorts and hotels will have dining rooms or simple viewing rooms with access to sit and enjoy the outlook. Hotel views can vary, but at the end of the day the whole point is to appease the guest and give them the peace of mind that they are getting the experience they paid for. Worst case scenario is they enjoy the beautiful nature surrounding them. There are many stipulations when deciding on where to stay while traveling. Whether you’re craving to stay at a small boutique hotel or a chain, there are a few things to keep in mind when choosing a destination hotel. Remember to check these off the next time you’re searching for the perfect place to stay on your travels. Decide on the activities you want to do while you are traveling. For example, if traveling to Paris, what sights are on the agenda— The Louvre, Eiffel Tower, etc.? We know that sometimes being spontaneous about choosing a destination is often a factor when booking travel, but having no clue what activities you want to do might affect your experience in the city. Choosing a couple of things will help determine where you want to stay, how much you want to spend, and more. Once you determine which activities to add to the itinerary, the next step is to choose how far you want to be from those items. Distance is a huge factor, especially when you’re traveling somewhere new and want to be near the center of it all. Imagine just booking a place that says “Barcelona” without looking at a map and when you get there, it’s 30 min outside of the center of the city. It’s definitely not a risk one should take when booking a place to stay. Set a budget. Come on people, it’s pretty obvious to make sure something is affordable. You can decide if you would rather be closer to your activities and pay a bit more, or sacrifice the pricing and stay a bit further away. Most of the time, the closer the hotel is in the middle of the tourist attractions, the more pricey it is. Everyone is different, so decide what’s more important to you— convenience or price. This can be a make or break for a trip, especially when traveling internationally. What is important for you? If you’re planning on doing some work while you are there, make sure that the hotel has WiFi. Imagine getting there and not being able to connect to the internet. Most hotels have this amenity, but it’s best to check first. Also, what time are you flying / driving in? If it is night time, or pretty early in the morning, check to see if the hotel has a 24 -hour check in desk / reception. What a pain it would be to arrive and not be able to finally set your stuff down and rest your head. Most of these are common sense, but many people have not traveled too much and forget to check the simple things. That is why we are here. Make the most out of your trip and stay in the best destination hotel that fits all of your needs. Boundaries are made to be tested, so good thing hotels have been stepping outside of their comfort zones...literally. Many hotels are beginning to incorporate nature, more open spaces in guest rooms, and more. Honestly, we love seeing more blurred boundaries and daring interior designs. 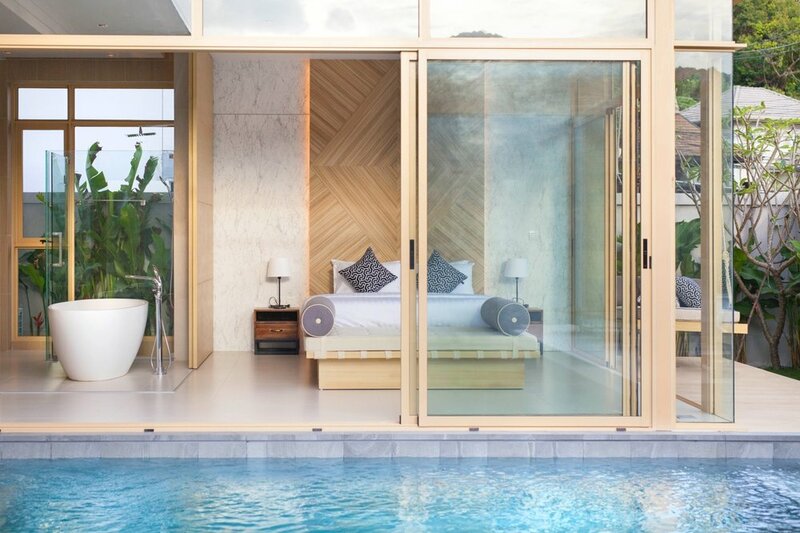 Most high-end luxury hotels, primarily the ones located in tropical destinations, have begun providing an outdoor access to a small private pool from the bedroom door. 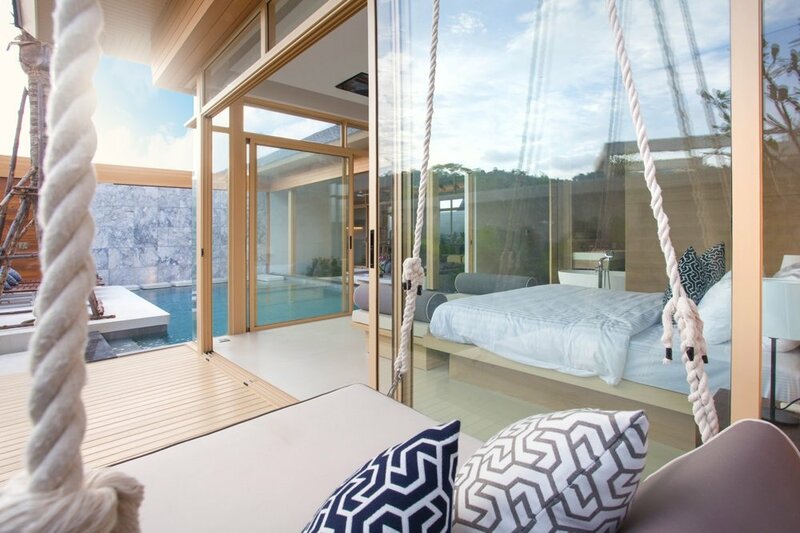 You could leave the door open all day, walking in and out of the private suit without worry that someone else will be entering your space due to the pool. The amazing privacy guests receive makes it seem like they’re just sitting at home enjoying their own property. That comfort and multipurpose space is what many experienced travelers desire. There’s nothing better than being able to open up French doors to feel the breeze of the ocean on your face in the morning. Hotels have begun building these doors with access out to a balcony and a walkway down to the sand specifically so guests will feel the luxury and comfort, and continue to come back for more. Imagine waking up and being able to basically remove the “wall” between you and the beach. It’s an incredible feeling just seeing the view. This trend is definitely a desired feature in places that have beach access and/or more private room options. Sometimes we all just want to have the freedom to choose whether or not clothes are necessary, right? Okay, well maybe not all of us, but there’s nothing like being able to shower/rinse off before tracking in a ridiculous amount of sand into the space you’ll be hanging out and eating dine in. It not only saves time with cleaning, but also brings in more convenience for families that have small children who might have gotten just a bit carried away with burying themselves in the sand. Patios are generally places that are closed off from the room. Most of the time you can open up a door and step out onto a balcony, but balconies seem to always be a tiny space when it comes to the typical hotel design. Luckily, many high end hotels are exploring blurring those lines as well. Thank goodness because being able to step out onto porch or balcony with a swing and have a cup of coffee or even work remotely helps with keeping the guests occupied and from straying off the hotel grounds to get food, coffee, etc. Spaces like this will have guests never wanting to leave. That means more business for room service, so we suggest making that investment. All in all, there’s still a ways to go when it comes to continuing to blur lines, but the progress we’re seeing so far is impressive. The future of hospitality shows that boundaries are important, but they’re absolutely meant to be blurred...at least when it comes to design. Renovation is a huge piece to staying relevant. In a world where trends and interests change every 2-4 years, staying up to date with what’s “in” is the hardest part of the hospitality industry. From the newest technology to the coolest designs, renovating can start to get a bit pricey and sometimes unrealistic. On the bright side, renovating does not always have to be about tearing down and building new spaces. Something as simple of small decor items and updated appliances can give a hotel the improved look it is going for. Renovating has become the new marketing tactic for the hospitality world. 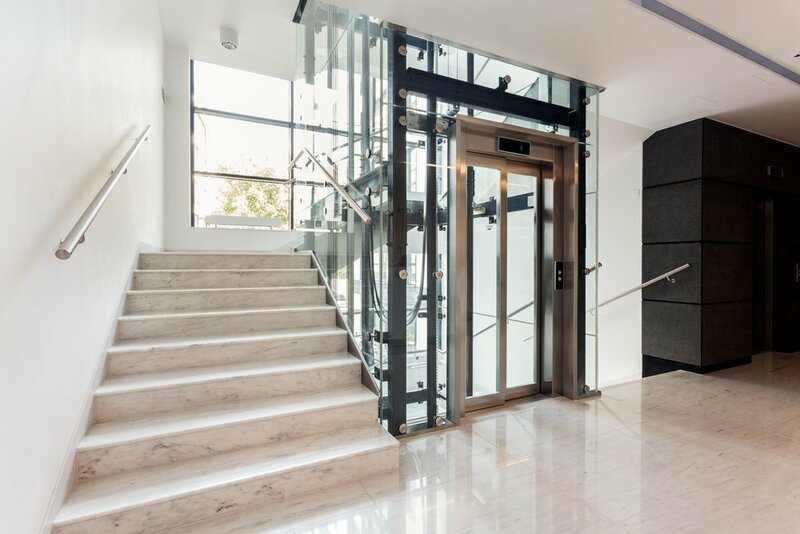 Regardless if you are a 5-star hotel in a major city or a boutique establishment in a secondary market, the cost of a renovation has become the new “bragging rights”. Some believe that when sprucing up a place or entirely rebuilding, it has to be a reinvention. Here’s the good news, renovations do not have to mean that your brand and identity have to change, unless that’s the goal. Many hotels want to keep their reputation, just simply implement updates to help with customer convenience and satisfaction. This could mean new ways to open a guest’s hotel room, ordering room service, or even regulating the temperature in a guest’s room. 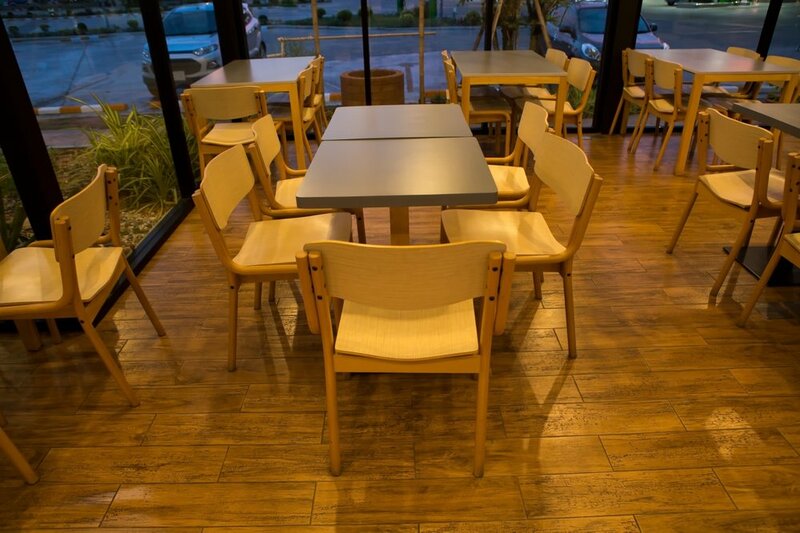 Revitalizing the space can be just the simple breath of fresh air customers need for their visit. 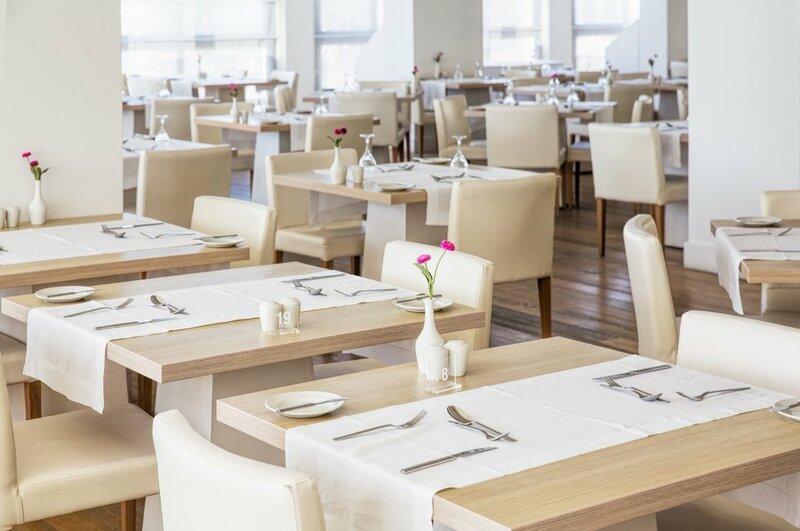 Unfortunately, the renovations made to a hotel’s interior architectural look can be considered, after a few short years, outdated or even worse, a bad idea. Is taking the step to redesign admitting defeat or simply the smart option? In our opinion, it’s not only necessary, it’s brave. The bottom line is, no matter what, the guests’ beds have to be comfortable and clean, the water running, and the food has to be good. One part of being relevant is having something interesting to post on social media. People will travel to places solely for a photo. It’s a bit crazy, but it’s true with the world of Instagram. Social media seems to attract a whole different demographic than what hotels are used to targeting, but with travel and remote jobs booming now more than ever, it makes sense to get the hotel out there in the world and attract more people. With updated technology and facilities, it helps hotel staff become more efficient in turn lowering the number of employees necessary. Although human interaction can never be replaced by machines and technology, some jobs can. It’s pretty simple and helps reduce the overhead in the long run. 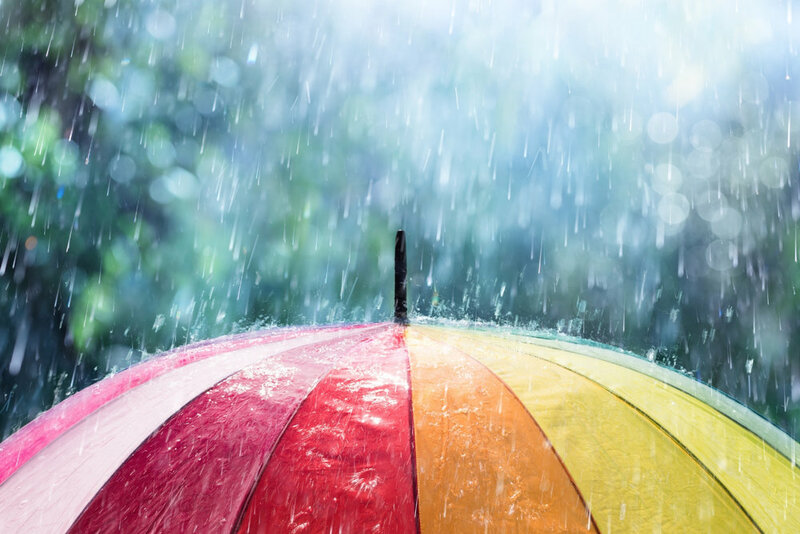 Without having to worry about paying multiple people an hourly rate, the technology can begin to pay for itself once the upgrade is paid off. It really just makes more sense to keep up with technology, attract more high-end guests, and get a great reputation in the meantime. The synergy between hotels and communities has been a long time relationship that constantly grows. It is truly a give and take coexistence. Synergy is defined as, “the interaction or cooperation of two or more organizations, substances, or other agents to produce a combined effect greater than the sum of their separate effects.” Basically, one is not as effective on its own as it is when two are combined. It’s pretty amazing what both the community and a hotel can bring to the relationship. We have all been to a place, whether it was a visit or just passing through, where it seemed a little on the lower end. Along with other hospitality businesses added to the area, a nicer hotel thrown into the mix would attract a higher clientele, in turn making the community around the hotel gradually up its game. Of course this does not always happen, but when it does, it’s a slow process. There were plenty of cities in San Diego County that were not safe and desirable that now are highly sought after destinations in the county. It’s important to never give up on a community, such as the city of Detroit. Once a booming metropolis, the city found itself in quite the depression once many of the factories were shut down. Recently more small business and other local shops have been opening back up thanks to some much needed love from a few nicer hotels stepping up their game. There are examples like this all over the globe and it’s such a wonderful sight to see. Too often, people don’t realize the effect that hotels have on the local businesses and vice versa. Hotels that are located in the middle of nowhere might get guests passing through, but there’s no way to really rely on consistent, returning guests. Hotels that situation themselves in communities that have at least a few places to eat and shops to explore get much better traction. Imagine this: You have your pick between two hotels. Both are within 5 miles of where you need to be for a work or personal trip. One of the hotels has nothing around it between itself and the destination and the other has a couple restaurants and a general store within walking distance. Which one do you choose? This example is a no-brainer. We know that having those local businesses closer to the hotel brings in more business for the hotel in turn bringing in more for the local businesses. That’s synergy, people! This long term co-dependence between communities and hotels is probably one of the longest and strongest relationships most of us have ever seen. It is crucial to understand that without one, the other suffers and will most likely never be as successful as it would with its counterpart. Remember when staying at a hotel that’s not in the most amazing neighborhood, you might just be helping that community get that much closer to improvement. It’s safe to say that the best hotel bathrooms always feel luxurious. The design is functional and efficient with thoughtful touches that make you feel special, and a convenient layout to place toiletries and other bathroom necessities. On the other hand, we’ve all been in those bathrooms that have close to no sick space in order to set anything down let alone brush your teeth. In our opinion the best bathroom sink designs take all of these things into consideration, allowing the guest to not want for anything. Photo of Hotel Wiesergut, courtesy of Archinect. Stone sinks are a classy way to incorporate design and functionality. There are many ways to design a stone sink, from using amethyst to small stones placed together, or a modern and sleek stone look (pictured above). Stone seems to be the best way to make each and every bathroom look pristine and upscale. It’s just a clean look that simply helps guests understand that the hotel cares about convenience, care, and functionality. Photo courtesy of The Beach People. 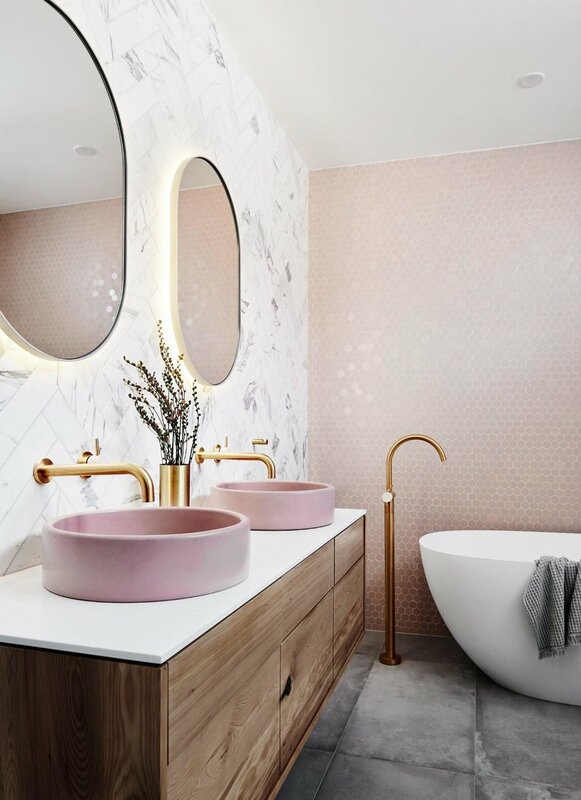 The industrial, while it might be becoming outdated in the restaurant and other hospitality locations, is still impressive and very much desired for the bathroom. From recycled wood to upcycle metal bars and faucets to handcrafted mirrors and doors, it is an incredible way to stay aware of the sustainability that many guests look for when approaching the hotel industry nowadays. Marble, especially within its first 2-3 years, has become increasingly more popular. It gives a classy and upscale feel to the space, creating that luxury vibe all high-end hotels want to emit. The combination of marble and metal seems to be one of those affordable, yet attractive duos. Copper especially is a dominant partner of marble, giving a more vintage and effortless feel. When you have marble countertops with a metal vessel style sink, it almost seems like you’ve been taken back to the Ancient Roman and/or Greek times. The only issue with utilizing a vessel style sink (pictured above) is the cleaning maintenance and the susceptibility to chipping/denting. Besides that, this dreamy look is easy to achieve and well appreciated. Photo courtesy of Adore Magazine. Photo by Lisa Cohen. Over the past few years, concrete sinks are among the biggest trends to emerge. When you think about it, it was definitely time for something other than the same old white porcelain sink to make a name for itself. Concrete is durable, versatile, and gives a slight industrial look to a space or a pop of color depending on how you design it. 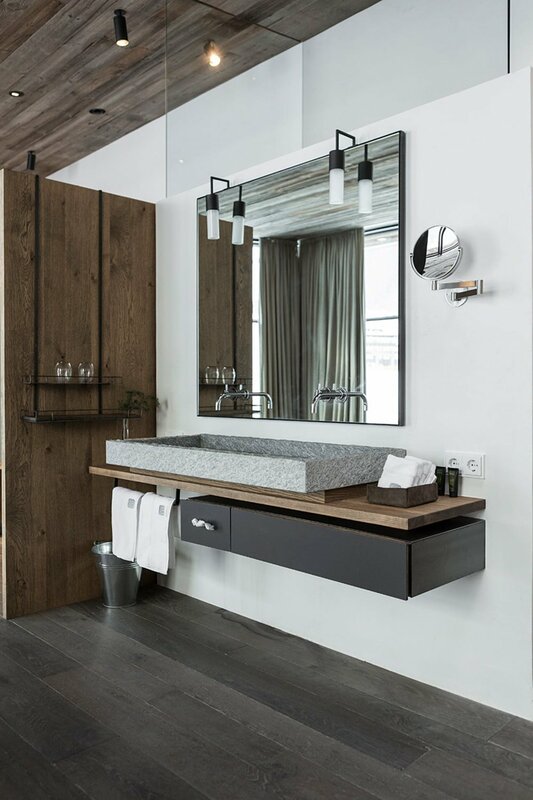 Whether it’s a vessel sink or the entire sink is created from concrete, it’s definitely built to last. Hotels don’t have to worry about kids or anyone for that matter grabbing the sink or dropping something around it and chipping or ruining the color. It’s a wonderful investment that pays it forward to guests. Hospitality is constantly changing and keeping up with it can be tough. From technology to unique experiences, the hotel industry is always on its toes making sure that the design and trends are up to date. If you haven’t already noticed, here are a few of the fastest growing trends in hospitality design. The world is becoming a place where convenience is key. Without easy access, most people will give up after trying for about 10-15 sec. Voice activation cuts out the middleman and frees up guests to do other things. “Lights on” or “Volume 4” are quick commands to assure that guests will not be interrupted mid-activity. Apps are taking over the smartphone realm. If your hotel does not have an app, you’re a little late in the game. A huge trend right now is giving guest the reigns a bit more and giving individuals a chance to control their room devices all from their smartphones. Genius! “Going Green” is not enough these days. More and more environmentally friendly travelers are basing their hotel decisions off of the carbon footprint each hotel leaves on the environment. It might sound a little silly, but getting your certifications in this area is going to be crucial in the future of hotel design and success. Experiences and culture are rated a 8/10 priority when guests are searching for the perfect hotel fit. 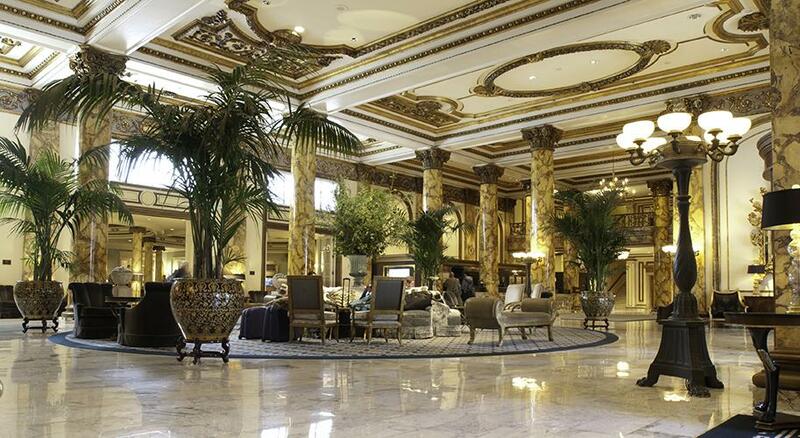 Look for more hotels to design the rooms and lobbies with local history and cultural layouts. On top of that, you might even notice that tours and happy hours will be put on by destination hotels more so than ever! The days of walled off rooms is over. Back in the day, the over abundance of walls were built because of the desire to keep heat in a specific area. Nowadays it’s pretty easy to keep the heat going in a nice hotel. Not to mention open floor plans are the best for groups to get together, hang out in the lounge, and more. Seeing that more travelers are spending more time outside doing activities, that means they’re spending less time in their hotel room. With that in mind, rooms will be a bit smaller and have less unnecessary furniture pieces. Say goodbye to armoires, dressers and closets and hello to foldable desks and chairs along with built in wall hangers. Personal welcome notes, thank you notes, names listed on room doors, and more. Expect to feel like you are the VIP that everyone wants to know. Hotels will be putting more effort into creating a personalized experience to make everyone feel special. Transportation in different destinations can sometimes feel overwhelming. With that in mind, hotels have started partnering with local transport systems to make travel to and from the hotel seamless. From shuttles, to the metro, and even Uber and Lyft. Look out for discount codes provided by your hotel to make sure you get where you need to go at an affordable rate. The term “millennial” is now a popular conversation starter. It’s mentioned at least once a day, coming from almost everyone in the United States. Born between the early 80’s and mid 90’s, this generation is the most common demographic in every industry today. It only makes sense to want to appeal to all individuals who identify as millennial. The influx of millennial travelers has spoken to how important being online can be. This generation is an online generation that constantly uses computers, tablets, smartphones, etc. to work, shop, play games, research and even find dates. This reason alone is why marketing and advertising offline is pointless when trying to appeal to millennials. Create a strong and recognizable online presence to engage with them. Start by creating an easy, functional, mobile-friendly website. Follow that up with social media platforms and maintaining a solid following on social media. If you can, create a mobile app as well. All of these options will increase your popularity and push the hotel up to the top of Google’s search engine. Authenticity is crucial when attempting to reach the millennial generation. These younger travelers are extremely excited about authentic experiences, doing new things, and exploring different cultures. One tip is to show the unique features of the hotel and destination in any marketing campaign and advertisement. Connect to the local area and show the travelers what is special about your location compared to other hotels in the same area. Do you offer tours of the city? Cultural immersion? Incorporate these things and make sure potential guests know what you offer. Deals speak louder than words. Okay, that’s not really how that statement goes, but it’s just as true. Millennials are always looking out for a good deal and will not hesitate to tell their network about it. A bonus that this generation brings is that last minute group trips are quite common, so take advantage of that. Promo codes, package deals, even group offerings can increase attention and at least make this generation aware of what is available. There’s nothing wrong with planting that seed in their mind. Try annual deals, seasonal offers, or off-season promos. With the era of Instagram where photos can speak about the entire experience, attractive can mean many things. Millennials is constantly eager to share all of their experiences, especially on social media channels like Snapchat, Instagram and Facebook. For example: create a geolocation filter for Snapchat to make sure that every time they post, they have the option to let people know where they are. Another way to capture that attraction is to leave little gifts in the guest rooms. This could be a simple as a thank you note with a piece of chocolate. The best thing you can do is to make them feel special because they will absolutely broadcast all of that to the online world. 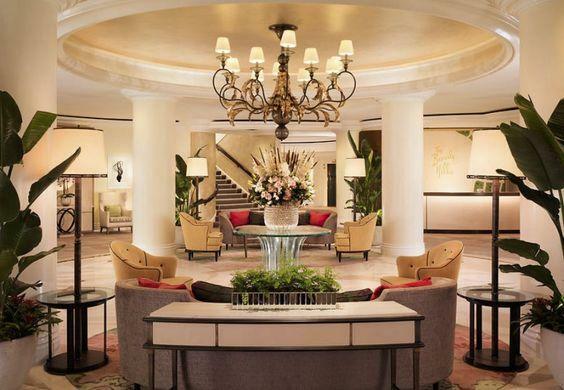 Recently, hotels have been focusing on emphasizing community with new lobby design. 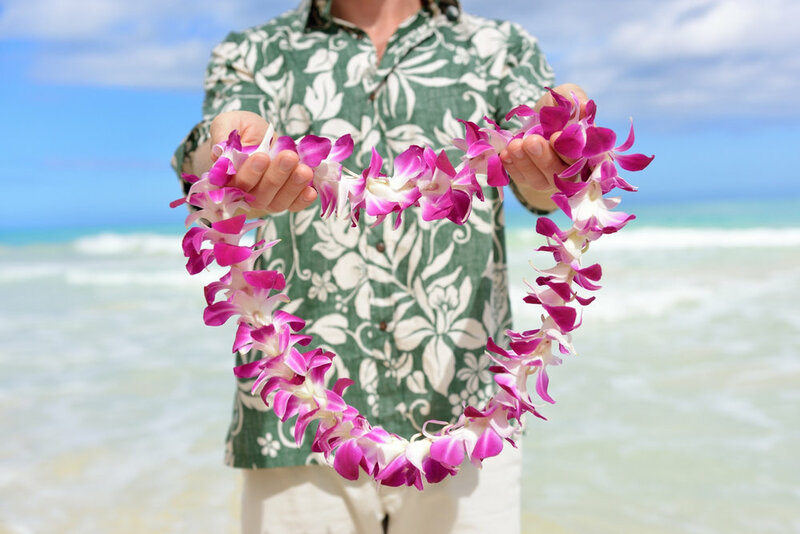 Bringing people together and helping them feel at home and welcome will invite guests to stay at the hotel longer. This could mean dining at the hotel restaurant and having drink at the hotel bar. The more people stay in, the more business for the hotel! Having an open floor plan is the perfect option for a lobby. Coming into a cold, dim, tiny lobby is not only unwelcoming, but it presents an area that no one should congregate in unless it’s to check in or out. Guests want to enter into a hotel and immediately feel like there are things happening inside that they want to be a part of. Walking into a lobby with an open floor plan sends the vibe that the hotel has nothing to hide and in fact, they want the guests to hang out, relax, and enjoy the common area. Another way that hotels are emphasizing community is through the addition of the bar/lounge combination. We have talked about this in our past blog posts, but it is truly the next step in completing a well functioning hotel lobby. This combo allows guests to get together in a comfortable seating area and have a glass of wine or their favorite craft beer while hanging out with friends and family. 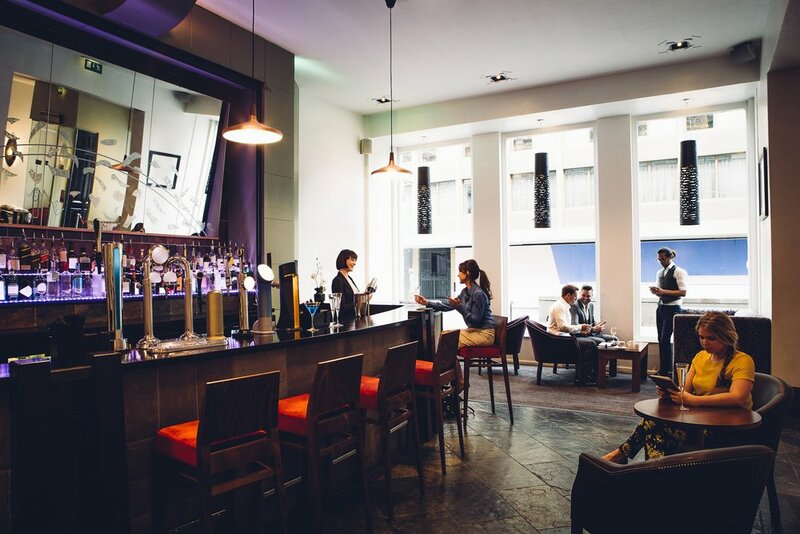 Most bars do not allow anyone under the age of 21, but with the addition of the lounge area, families can sit back and relax while parents have a drink without having to separate. The check-in desk has always been around and most likely always will be. Nothing can replace human connection, so even if guests can check-in on their own a friendly face will be there for any questions or concerns. The check in desk can have many locations in the lobby, but the most common location is to the right when you walk in the front door. It is a fact that the majority of people turn right when they walk into a building or room, so it makes sense for it to be located there. With a fun, friendly, and informative check-in desk, hotels are creating a sense of comfort and trust with their guests for any needs they might have. Lastly, decorations. Community can be brought together with many different means, culture and decor being one of them. 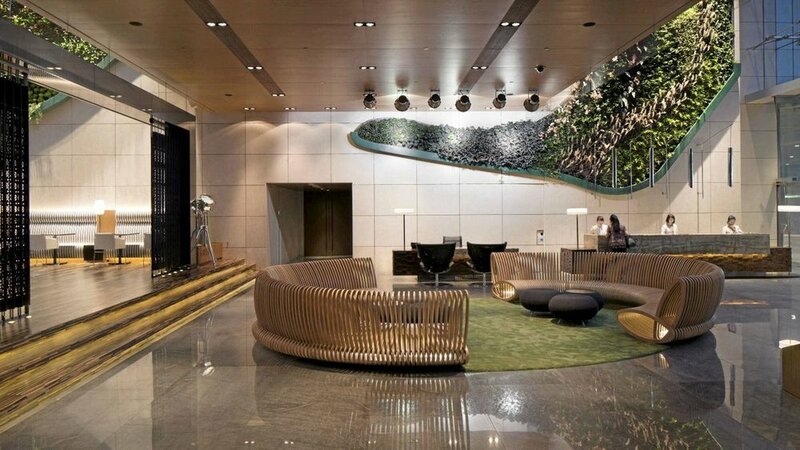 The way a lobby is decorated can leave a lot to the imagination or build a sense of welcome and togetherness through art, furniture pieces, greenery, and more. We all know the feeling of walking into a building and seeing cool plants, flower wall, etc. This is the exact situation that guests want to be in when they come through the entrance. Trees, plants, flowers, comfortable seating, and intriguing local art can bring individuals together because of that sense of belonging and comfort. Travel Trends for 2019: Are Millennials Traveling More? “Are millennials traveling more?” is more of a rhetorical question. There’s no doubt that travel is picking up, but why is the millennial population the generation that is taking over? There are many reasons why people travel, but here are a few reasons why millennials, as a whole, are breaking the lid off of the travel world. This combination is a huge reason why millennials are traveling more. While this generation might work more than 40 hours a week on the average, they also make sure they get their time’s worth. Yes, not money’s worth, but time’s worth! The amount of people who extend their stays for personal leisure is growing more every year. It makes sense! Why not prolong a trip when your company sends you to California or Europe? 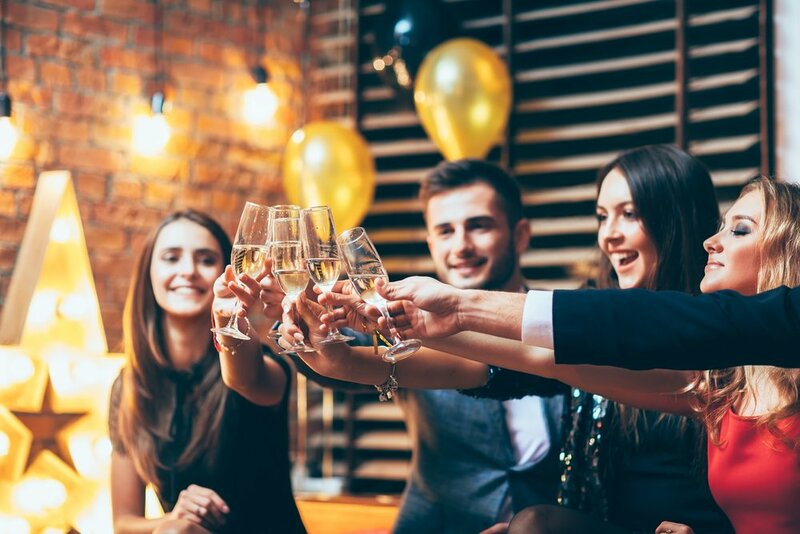 Recently, companies are competing with each other to get the best of the best and vacation days or sick days are a huge benefit that millennials look for, so the more days given mean more extended stays. Millennial travelers are looking for exciting and transformational experiences while they travel. Even if it’s only a short trip, the experience is everything. This shows solely by the growth in adventure travel. Adventure travel is and will continue to be on the rise as one of the most popular and fastest-growing types of travel for millennials. Without the experience, the imagination won’t be explored which leads to just another mundane, boring, and typical vacation. Millennials want something to talk, brag and blog about, so the adventure and the transformational experience is crucial. Highly specialized trips are reasons why millennials book most of their travel. More people are seeking out getaways that cover a specific hobby or interest such as photography, hiking, cave diving, etc. They will pay more for tour guides or travel agents who can translate their interests into amazing experiences. Most recommendations of trips and destinations are coming from people they know that are on or have already done the trip before. Authentic and memorable experiences could quite possibly be the biggest reason millennials are traveling more. This one is pretty simple. YOLO stands for You Only Live Once. 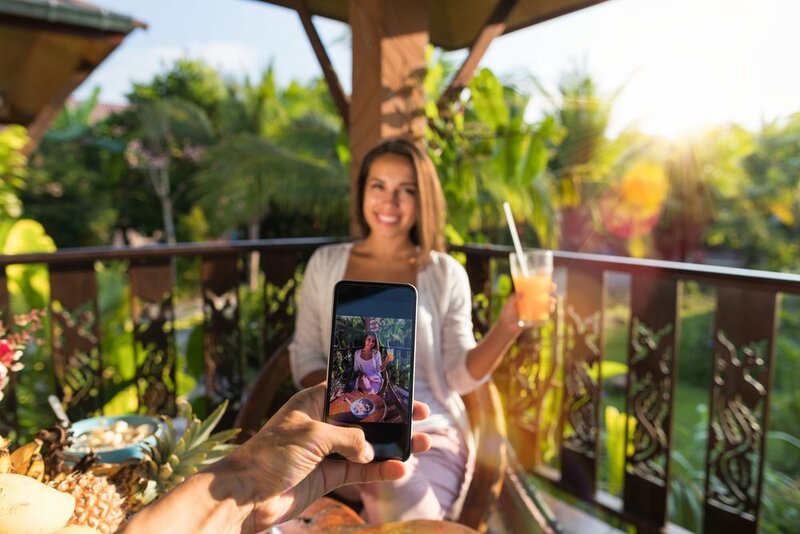 Many people are exercising this “live in the moment” mentality and that results in more vacations, mini-trips, and staycations all around the world. 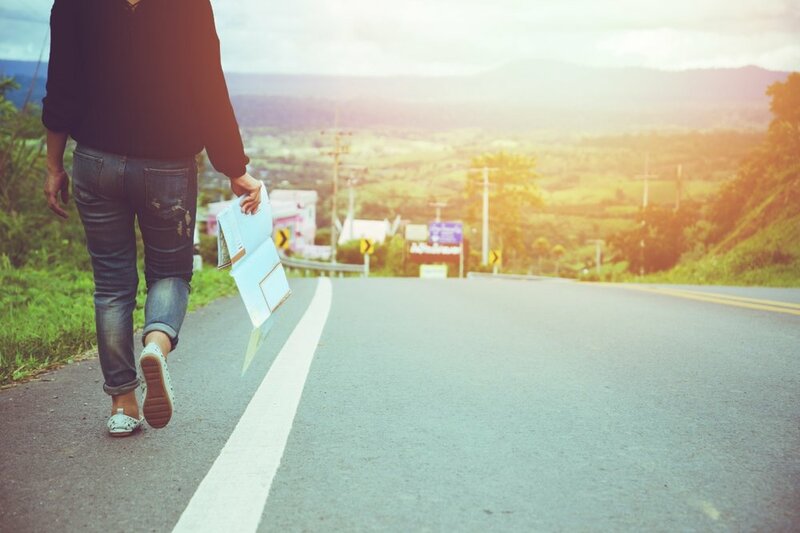 Although student loans are one of the largest debts in the United States currently, passing car and house loans, many post grads are taking it upon themselves to get those most out of their younger and youthful years. Honestly, we can’t blame them. When it comes to amenities, hotels are doing everything they can to make sure they are able to accommodate the guests’ needs and desires to the fullest. This can be trying at times, but as long as the basics are there, anything else is simply a plus. Here are the top amenities to look for as a baseline requirement. This amenity is absolutely crucial. 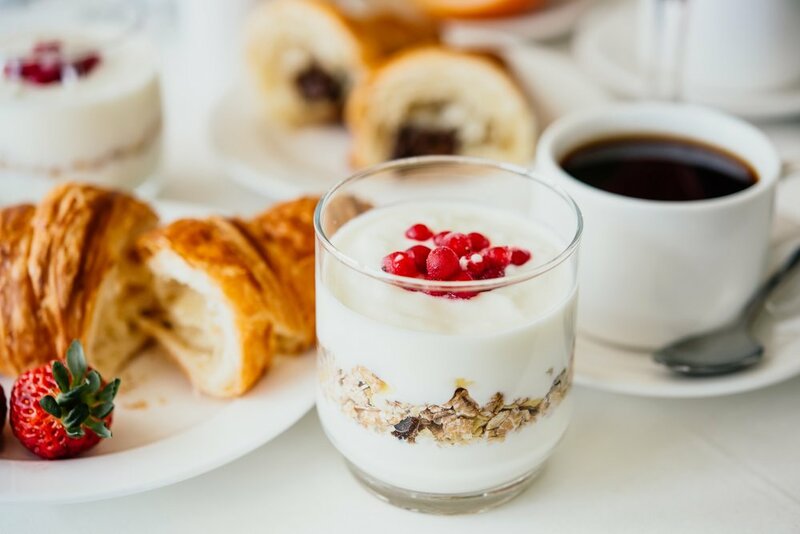 Of course the breakfast does not have to be extremely elaborate, but an offering of more than cereal and pastries is expected. The more relevant hotels will have a buffet with plenty of food items available and it will be included. When we say complimentary, we mean that it does not cost extra. With the price of hotel rooms these days, it only makes sense to include breakfast with every night a guest stays. Hotels without a restaurant are quickly becoming obsolete. It is sometimes more convenient to order room service for a meal as opposed to dining out. Guests want to know that if worse comes to worst, they will have the option to go to the closest food provider they can find. Nothing feels better than having a restaurant within 100 feet from you, especially if you’re coming in a bit late or waking up earlier than most and need to eat. Now this is a no-brainer. Although the majority of hotels are now providing internet and Wi-Fi options, not all of the services are included with the room reservation. That seems a bit old school at this point in the hospitality world. Everyone has a smartphone or computer or tablet, so why wouldn’t the Wi-Fi be included? This is a big thing, especially in bigger metropolitan areas. Many people, business and personal travelers rent cars and the last thing guests want to worry about is where to park and how much it will be. Valet is a nice option to have when there is no self-parking option, but free parking is always better. Another absolutely necessary amenity is 24-hour front desk service. This is important because of emergency situations such as plumbing issues, losing a key, etc. Nobody wants to wait to have a leaking toilet fixed or to finally get a hold of someone to get access to their room. Ever since the laws against smoking in restaurants and bars, people are becoming more accustomed to smoke free everything. Business and apartment buildings, rental cars, etc. are way more popular thanks to this law, and no one likes sitting in a room that smells like cigarette smoke. It is a distinct odor that can be off-putting, especially when sleeping. Last but not least, AC. Almost everyone has been in a situation where the weather was either extremely hot or cold and all they wanted was to get to their hotel to cool off or warm up. It’s a basic necessity to have air conditioning when in an area of the world with excessive heat or cold. Can you imagine staying in New Orleans, LA in the summer and your hotel doesn’t have a way for you to cool down from being outside? No thank you! Hotels without this amenity suffer and struggle to meet guests’ vacancy standards. From start to finish, hotel design is a large task to say the least. The many realms that design has to cover throughout an entire hotel is quite taxing. We have a few categories that might be beneficial to start the process. Most of the design tasks can be placed underneath these four categories, so buckle your seatbelt...here we go. This could be the most important thing when considering hotel design. Does the hotel space, atmosphere, furniture, etc. provide a comfortable environment for guests? One of the biggest aspects of this area is determined, by guests, by how enjoyable the bed and seating options are. Of course every person is different, so this can be a difficult challenge. The bed is not just the mattress; it is the sheets, pillows, and blankets as well. When it comes to a comfortable atmosphere, this really entails the customer service. Creating an environment where guests feel “okay” with calling down to ask about more towels, blankets, room service, or other questions is imperative. Parking options, room transportation (elevator? stairs? ), etc. Convenience is another part of hotel design that can bring in or lose customers faster than anything. In regards to parking, the world we live in today, most notably in more urban areas of the world, traffic is obscene because of the amount of cars on the road. If the hotel does not have a convenient parking lot, deck, or garage, guests will not be happy. That is not the way people want to start off a trip. Make sure to plan out an option for guests coming in with vehicles, and don’t get too pricey! Once inside the hotel, convenience comes out in transportation the the room and room service. Location of the elevators has to be close enough to the check in desk so as to prevent guests from wandering around wildly looking for a way to get to their room. When it comes to decor and style, branding is kind of a big deal. Make sure to get everything in order when it comes to colors, styles, themes, etc. when choosing decor and furniture. Not everything has to be certain colors, but if the theme is nautical, having cowboy themed items around the hotel will clash with the brand and have guests a bit confused on what you’re trying to accomplish with your decor. Same with styles! If your hotel is generically modern, try to vere aware from choosing pieces that are more victorian or rustic. 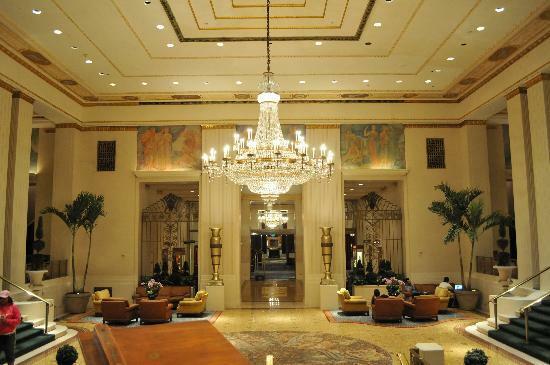 How economically friendly is your hotel? Are you “going green” as much as possible? Using recycled wood? Have vegan options for guests? 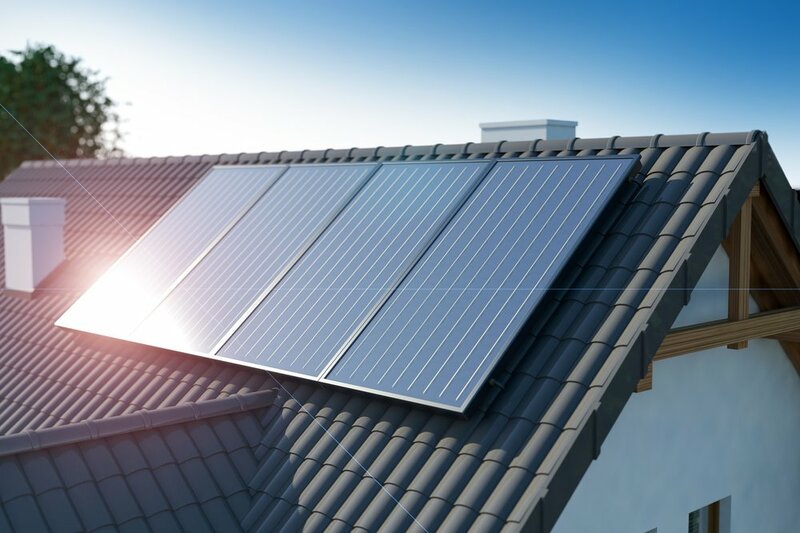 What about solar power? These are all questions that only touch the surface of making a hotel economical. As new generations come of age to rent hotel rooms, these issues will have to be addressed. Although it might not seem to be a big deal now, these options will eventually bring or deter potential guests. After all, gluten-free was not a thing until about 10 years ago and now look, every restaurant has gluten-free options! 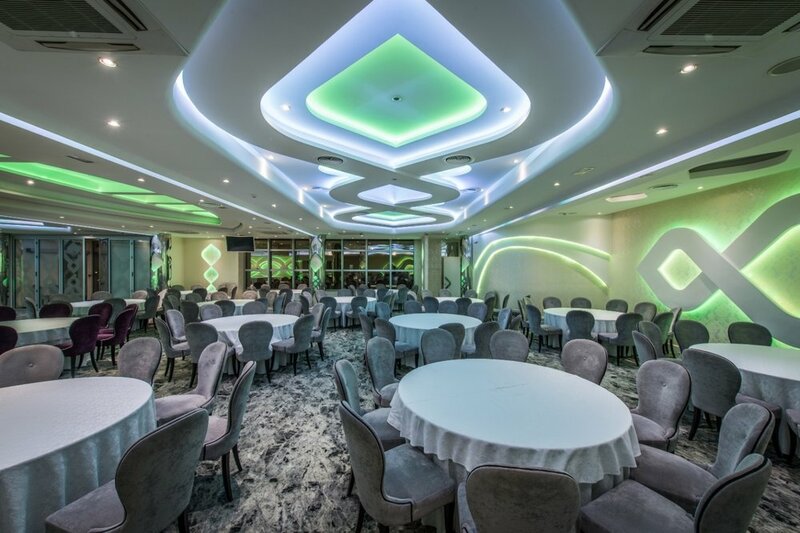 Why not considering these topics in your hotel design now?